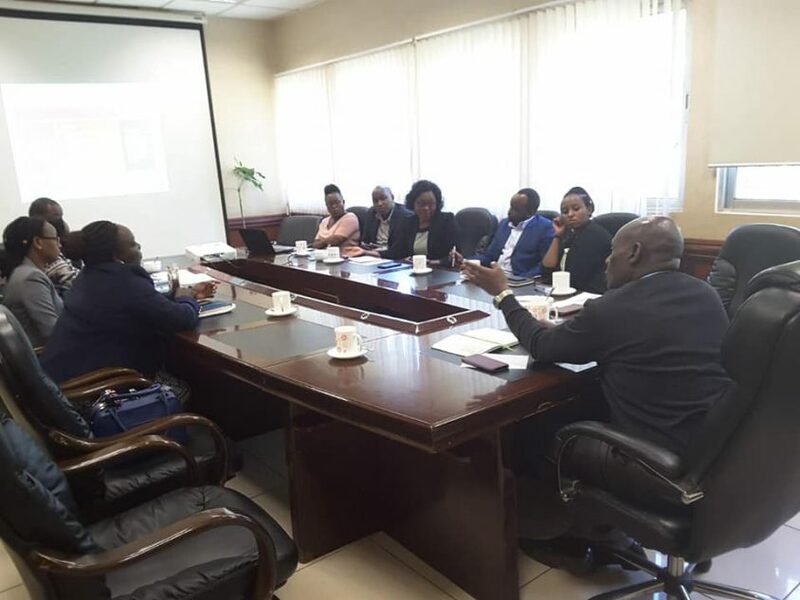 On 15th November 2018, County Government of Nyeri hosted a team from IBM, Coca-Cola and K-YES (USAID) for a meeting to come up with a partnership matrix for rolling out their programs. K-YES is a five-year USAID funded youth serving program targeting those between age 18-35 with primary or some secondary education who are often left out in mainstream empowerment initiatives. IBM has introduced Digital-Nation Africa, D-NA program in the 9 counties that K-YES is working in, of which Nyeri is one of them. D-NA is a Digital literacy program that ensures youth learn new technologies free, self-paced, build Apps and find jobs on their platform. Coca-Cola is also Activating a program dubbed “KUZA-KAZI” in Nyeri for the cohort in the K-YES program and shall provide a “starter kit” for those interested and trained by Coca-Cola on their business model. Representing the County was the County Secretary, Mr. Ben Gachichio, CEC Youth, Gender and Social Services Esther Ndung’u, CEC Education, Science & Technology and Sports Margaret Macharia and CEC Trade, Tourism, Industrialization and Cooperatives Diana Kendi.